Singapore must take a leadership role in so-called disruptive technologies like third-party apps such as Uber and GrabCar. If we do not innovate and create disruptive technologies, we may not be well placed to react to global trends in time, to our detriment. We have seen how Uber disrupted the taxi industry. Years earlier, data-based messaging services such as WhatsApp disrupted the SMS business. Paypal and mobile payment systems eroded the retail businesses of banks. Some countries with more resources and a larger domestic market may be able to withstand such blows, and mitigate these effects of disruption at later stages. Singapore does not enjoy such luxury. 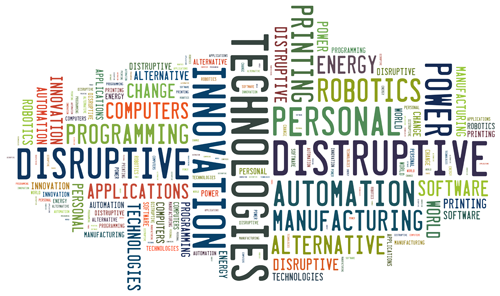 We must be at the forefront of these disruptive technologies. In the case of Uber for example, it would be very much in line with our economic strategy to persuade Uber to move its Asian headquarters to Singapore. Some still hold the view that we can resist such technological disruptions, such as through regulatory legislation, in order to protect local interests. We would only be creating inefficiencies, and allow the world around us to move ahead. The process of technological disruption will be painful. Admittedly, disruption may threaten some jobs. But if we can lead the way, we create for ourselves more time to mitigate the effects of any such negative socio-economic situations. This is a crucial learning process helps to boost our resilience towards potentially catastrophic changes, which are beyond Singapore’s control anyway. The next frontier for disruption would be the service industry, especially within the F&B sector. Eatsa, a high-tech fast food restaurant recently opened in San Francisco. Eatsa revolutionaries the dining experience with full automation of almost all processes in a F&B business, especially in serving food and cashiering. With the exception of a few kitchen staff, there is not a human in sight. The restaurant has received good reviews. This marks a new era — technology has begun disrupting the low skilled service industries. Singapore’s service industries currently requires a considerable low-skilled labour force. This has all sorts of political ramifications with regard to debates on immigration, which sometimes borders on xenophobia. Disruptive technologies like what Eastsa is pioneering is therefore the natural way forward. Policy makers cannot shield Singaporeans from these changes. Singapore and Singaporeans will be worse off, if we over-regulate such technological innovations. It makes more sense for us instead to adapt to such changes. 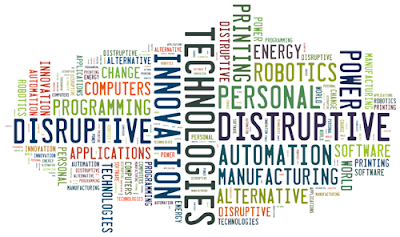 Beyond adapting to changes, we will also need to take the lead in the disruption of established industries.